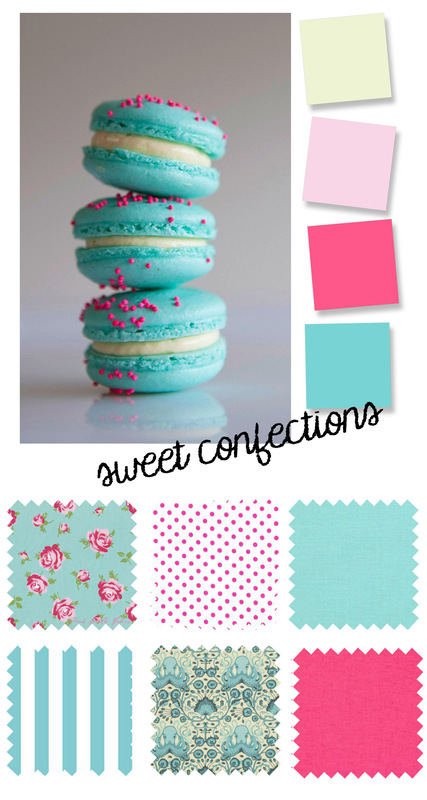 This week’s color palette is inspired by yummy macarons. I think the combination of aqua, neon pink, and cream make for a very bright and fun color palette. What would you sew using these fabrics? I love these color palette posts. They get me to think about sewing not as a garment by garment thing, but as a wardrobe! Heidi, I love your ideas! Pat, a blue & white striped cover up to match the pool water is a great idea!